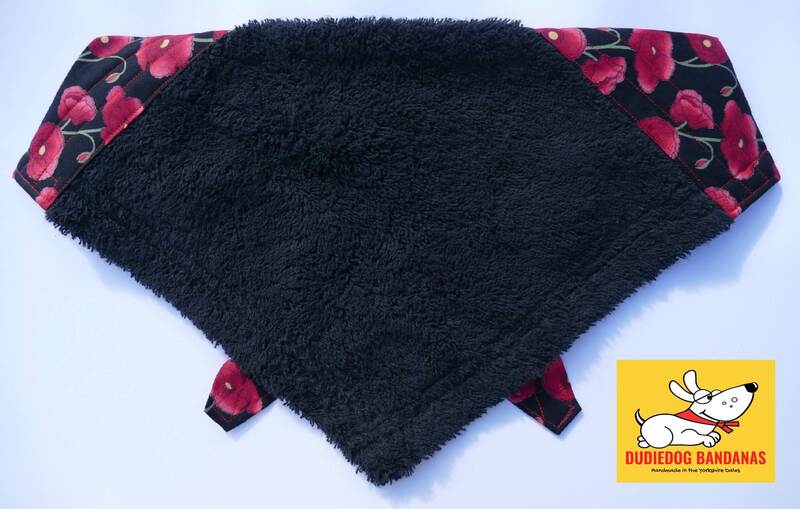 This is a really lovely 100% cotton Poppy Droolbuster dog bib. 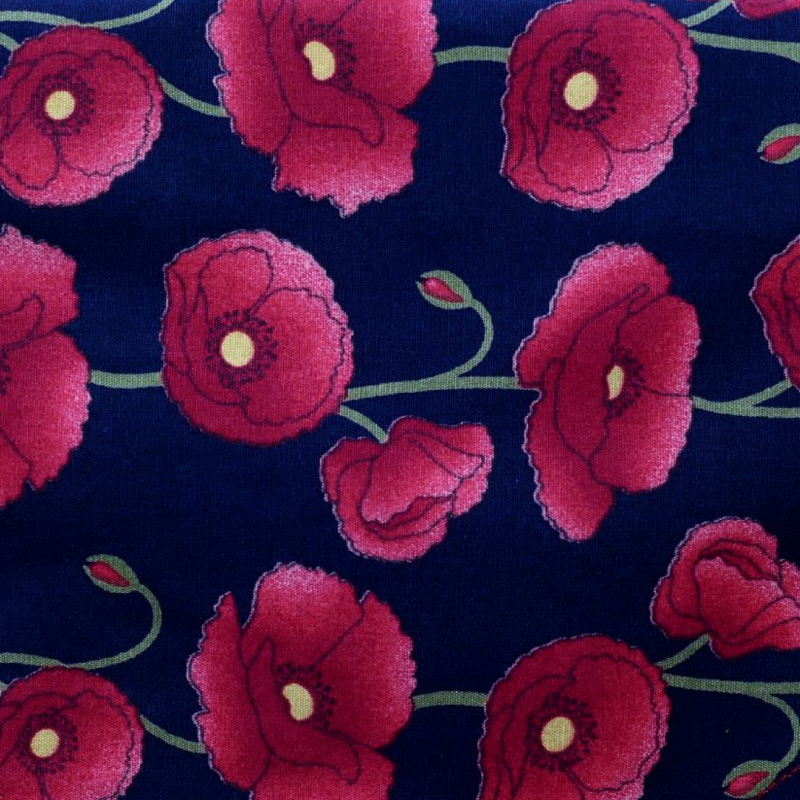 The sides are a fabulous Poppy print cotton, with a dark navy blue background and vivid red poppies that look almost real! This print looks particularly good teamed up with the red or black cotton Terry Towelling options. The Terry towelling is super absorbent and very high quality. Droolbuster dog bibs are the perfect solution for dogs that drool. They're comfortable to wear, and very practical. 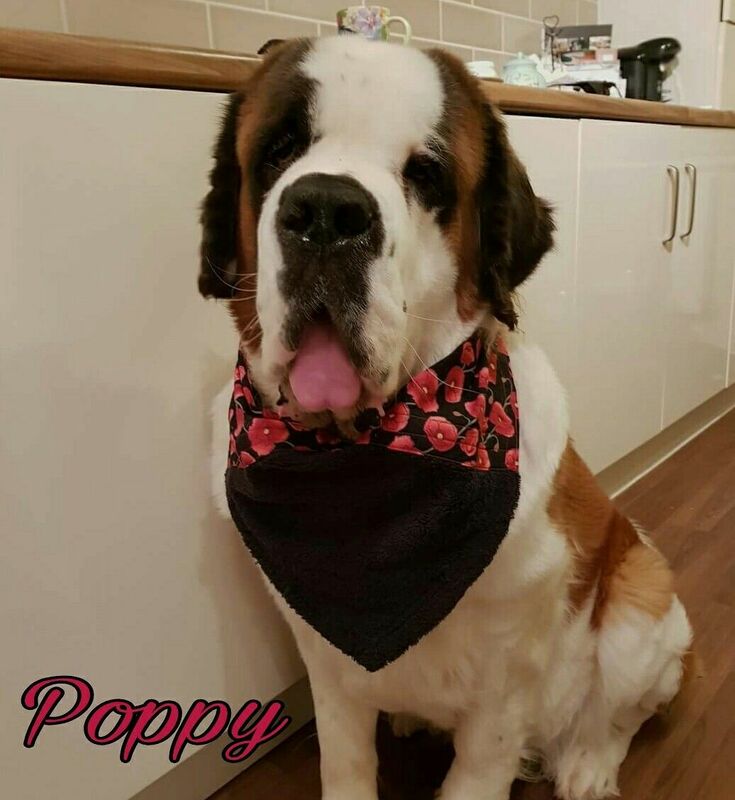 Droolbusters are available in 6 sizes, the biggest being our Giant size, which will fit the largest individuals of the Giant breeds!